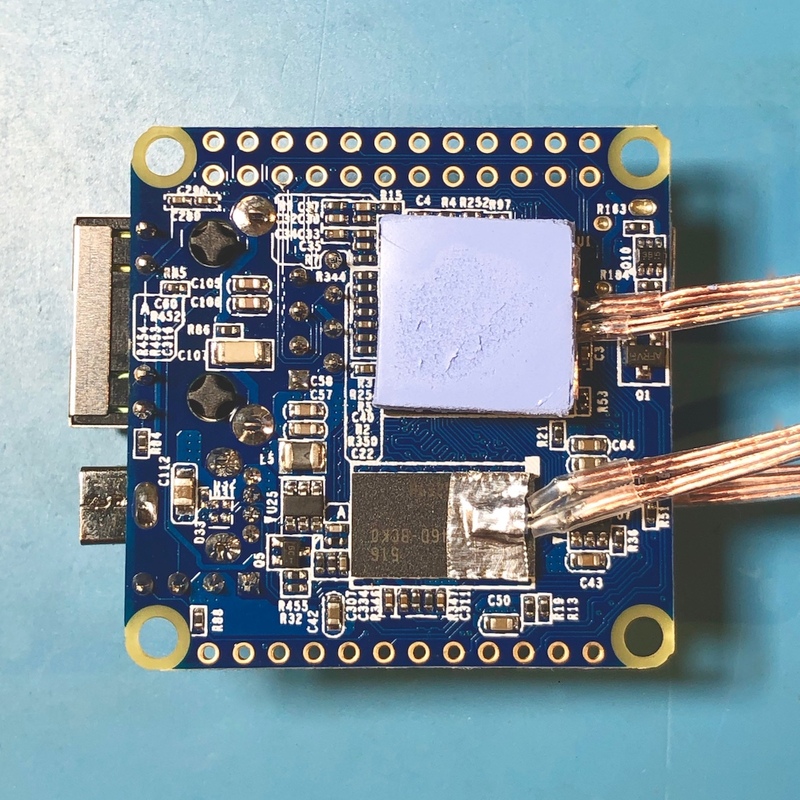 SenseTemp is designed to the Adafruit Feather interface standard, which means it can be operated by a variety of different MCUs. 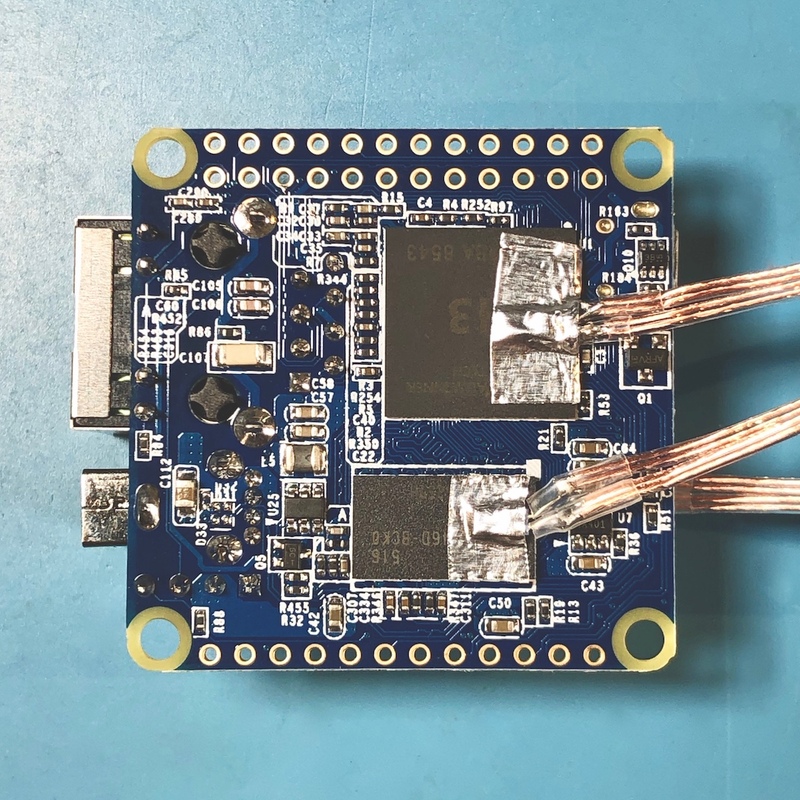 The Feather M0 LoRa option allows you to send temperature data via a LoRa link, while the ESP32 option allows for transmission via WIFI. Your test hardware shouldn’t lock you into proprietary software. SenseTemp’s open source python firmware make it easy to integrate into your current and future tests, logging systems, and workflows. CircuitPython is supported on the M4 and M0 Feathers, while MicroPython is supported on the ESP32. The SenseTemp PCB has four MAX31865 RTD interface ICs, voltage regulator, EEPROM, and 16 pin connector to the remote Resistive temperature detectors. 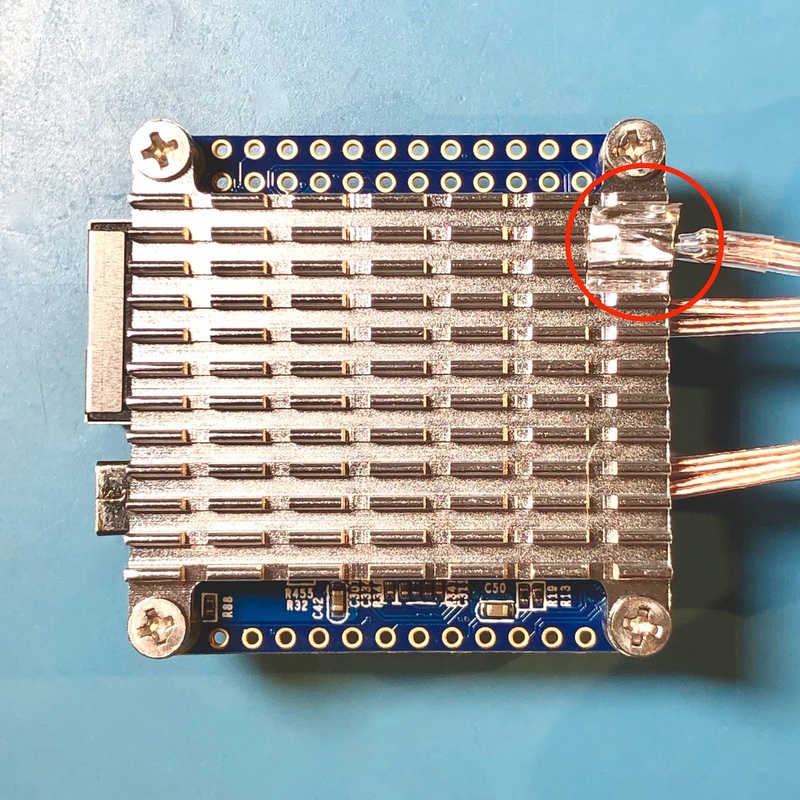 The silicone ribbon cable used in the RTD sensor cable harness is remarkable. 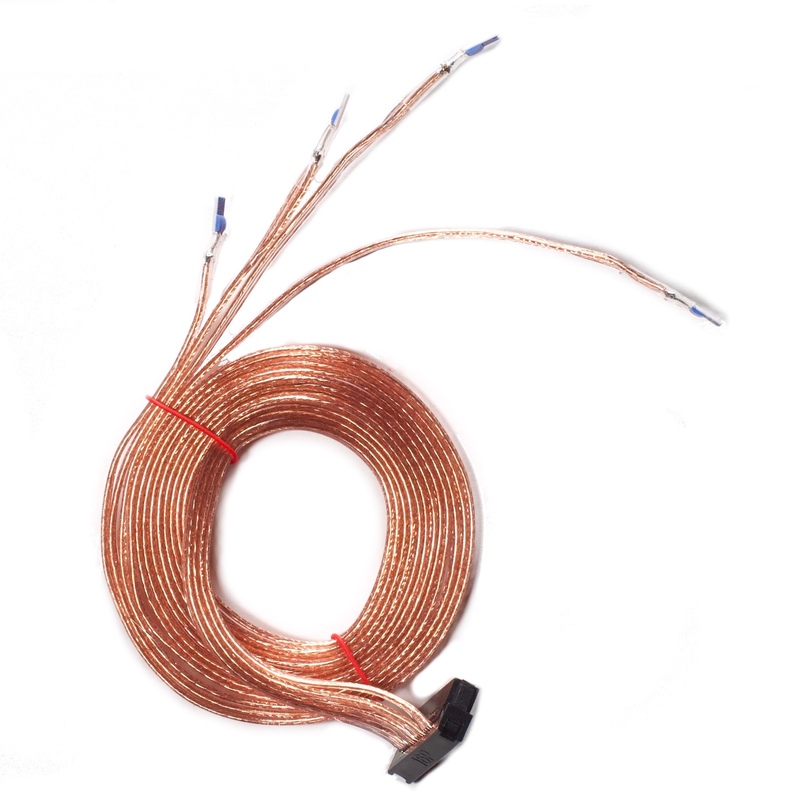 Early prototypes of SenseTemp used traditional PVC ribbon cable between the PCB and the RTD elements. I was unhappy with PVC’s poor abrasion resistance and temperature rating (typically capped at 105°C and some temperature tests have an ambient of 70°C to 85°C.) 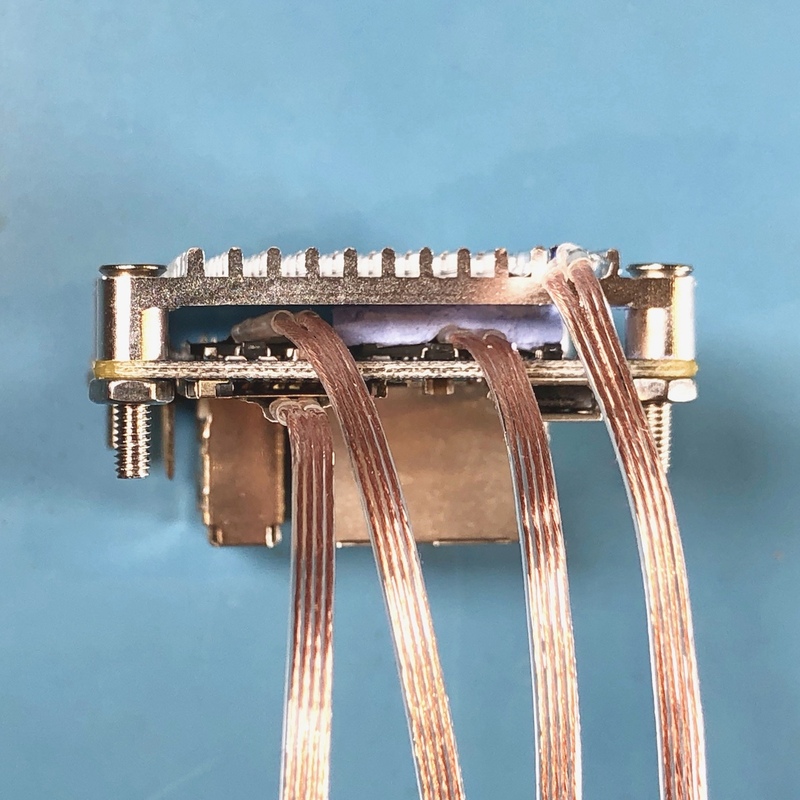 I then built some harnesses with Fluorinated-Ethylene-Propylene (FEP) jacketing rated to 200°C, but found FEP cables to be far too rigid for easy instrumentation of PCBs. 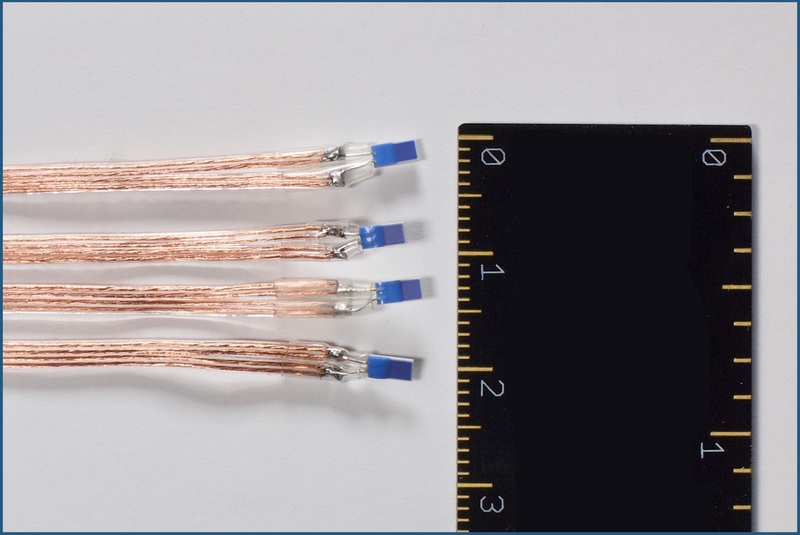 For several months, I looked for a better ribbon cable option and finally found one when Cicoil launched their Ultra Flexible Micro IDC Ribbon Cable. I commissioned Cicoil to produce a custom four-conductor extrusion of their cable and could not be more excited to be using it in SenseTemp. Cicoil silicone cables are durable, super flexible, and rated to 260°C. The RTD harness can be built in various lengths and has a high-temperature & flexible silicone jacket. The RTD measurement elements are just 4mm x 2mm x 1mm. When planning environmental tests of embedded electronics, I couldn’t find accurate, small, low-cost, and flexible temperature sensors – so I designed SenseTemp. I’m using it to validate the thermal design around voltage regulators, processors, motor drivers, and other heat-generators in my products. As a thorough and responsible engineer, you should too. Good instrumentation of your product’s thermal path can help you find and eliminate unexpected thermal resistance. 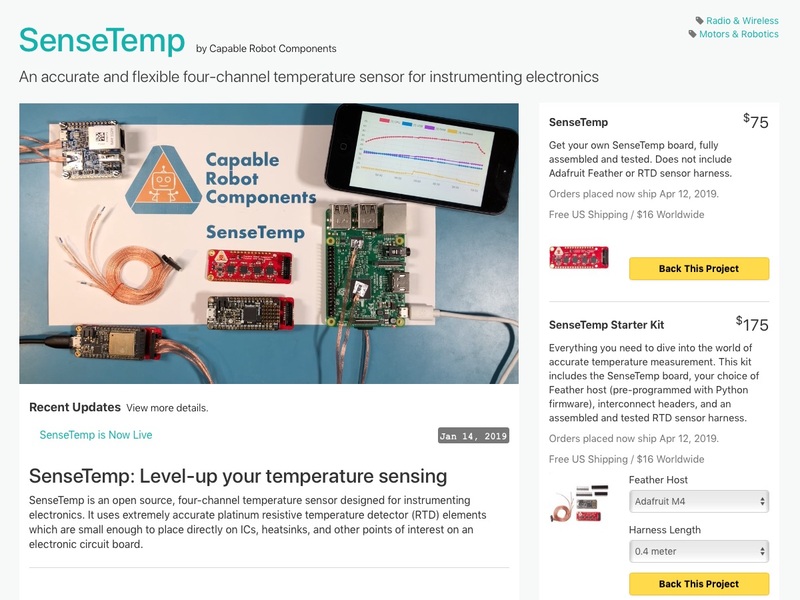 SenseTemp uses miniature temperature sensors so you can embed them in and along heat flows. Resistive temperature detectors (RTDs) installed onto CPU & RAM chips. Heatsink installed with 4th RTD measuring its' temperature. Thermal pad placed on the CPU. A third RTD measures the underside of the PCB. RTDs are monitoring temperatures throughout the thermal path. Full product feature set and specifications can be found on the Crowd Supply campaign page. "; var btn = ""; var msg = "
" + btn + data.message + "
Join our mailing list to learn about what we’re building before the world does!